Visign Remodeling specializes in a range of redesign, finishing and remodeling services for your home or business. Our crews are fully insured and bonded, carefully vetted and qualified to perform different property improvement jobs - from a complete or partial bathroom and kitchen remodeling, painting and decorating, basement finishing and closet remodeling to crown molding / baseboard installation and concrete driveway work. We come to your property well-equipped with quality power tools. You have the option to provide the materials to finish the job or we can supply that for you. We are known for being reliable, completing every unique design project on time and within budget. 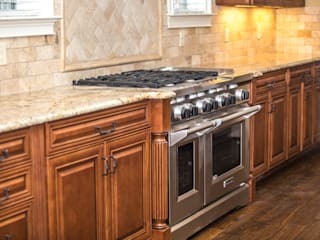 Visign Remodeling never cuts corners and you can expect excellent results that will meet your requirements and project ideas. We provide a one year guarantee on all remodeling services, and all first-time clients get a 15% discount on the job. Book your free survey now by calling us or visiting our website.